100 percent medical grade silicone material. Autoclave is possible without injury to the product. Various accessories and private label options. 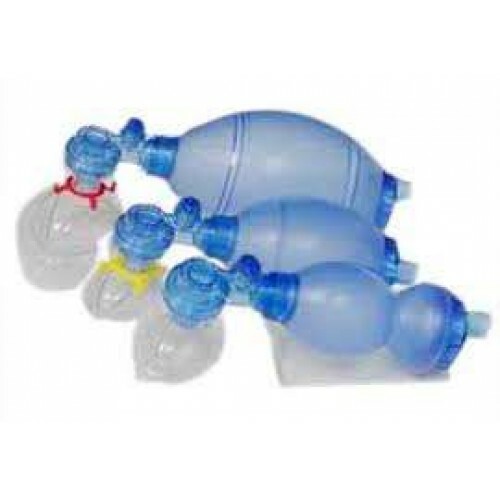 The set includes PVC reservoir bag, silicon mask 5 and disposable oxygen tubing. 40cm H20 pressure relief valve reduces risk of excessive ventilation pressure. All in one intake valve. "L" type non-rebreathing valve, Mask Size "04" Clearhood facemask, Corrugated pipe for air oxygen mixing, 1.5 mtrs oxygen tubing, reservoir bag 2600ml for 100 % oxygen enrichment.